The weather is finally getting colder and what’s a better way to welcome the chilly weather like Fall DIY Centerpieces! Fall means harvest season, so why not use pumpkins! Our favorite and easy centerpiece DIY is painting our pumpkins. First, remove the top of the pumpkins and clean the inside. To add elegance to the table, paint your pumpkins gold and white. This color combo will help brighten up any room. Lastly, place any florals to your liking. Tall branches will add height to the decor, while silvery leaves makes it versatile for autumn and winter. Candles are great if you want to create a warm ambience. This next DIY is a sure way to warm up your guests. 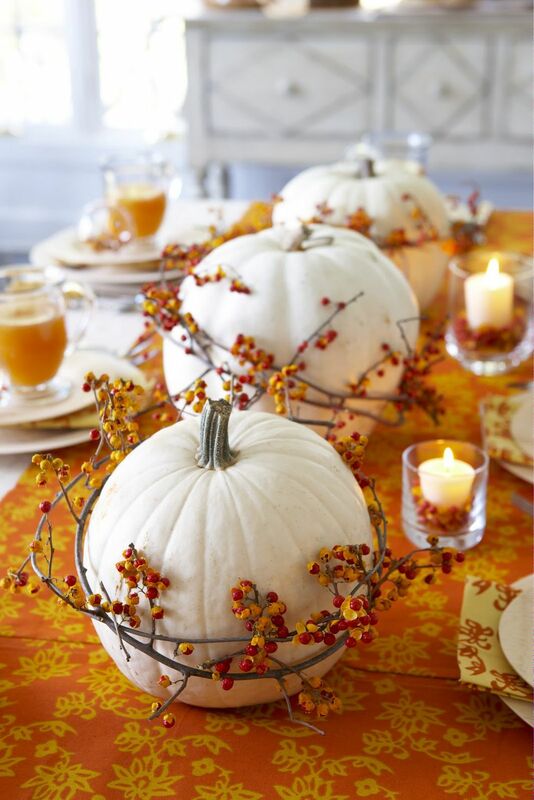 If you really want to impress your guests, then we suggest placing the candles inside the pumpkin. Place it so the candle is exposed and not hidden. Make it simple placing the candles on a wooden board surrounded by winter berries and fruits. Winter berries are great because they compliment everything. It's small accent pulls centerpieces together. Winter berries can be place surrounding candles, pumpkins, and flowers. 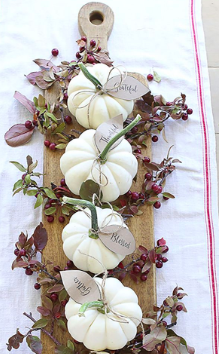 Another way is wrapping them around objects like pumpkins or candles. What's great about these little berries is that they come in multitudes of colors, from red to glittery silver- the options are endless! I did my friend Georgette's makeup and hair a bride to be! She loves golds and browns on her eyes so I did a gold shimmer on her lid, a soft white under her brow bone, a red brown in the crease with a rich brown on the outer edges to accent her eye. I finished her eye off with a winged black liner and lashes to really make her eyes pop. I used temptu airbrush for her foundation and contoured her forehead, nose,and cheeks. I gave her a subtle glow on the cheeks called my "Krystal Glow". To complete this look I used Ice Wine lip gloss from my Krystal Rose Cosmetics Luxury Lip Glosses. For her hair I did a finger wave on the right side, and started rolling and pinning up from the left side. I went all the way around the hair curling and pinning up blending it over into the right side.